Fitzroy Island is off the coast of northern Queensland, just south of Cairns. 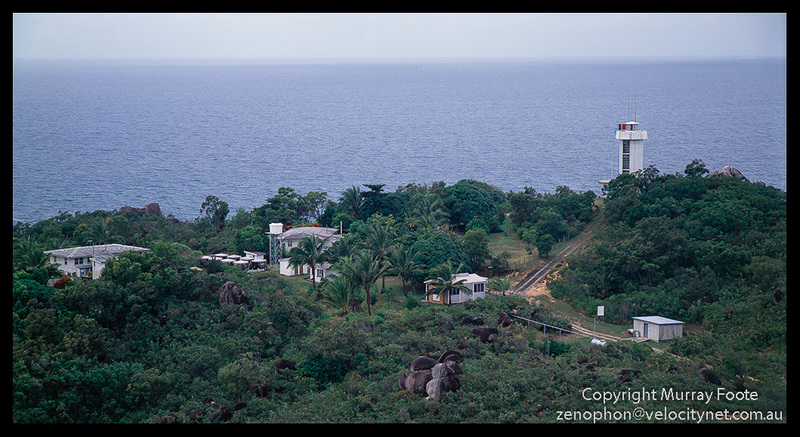 Here we have the usual assemblage of keepers’ quarters and other buildings along with the lighthouse. Lighthouse buildings built further south in the nineteenth century would be of stone but here I think the houses appear to be wood and the sheds fibro (asbestos sheeting) or corrugated iron. This is a very recent lighthouse. The first lighthouse here was built in 1943. All the unmanned lights in the Great Barrier Reef area had been turned off to thwart Japanese raiders and the manned ones were turned on only for identified ships as they passed. In these circumstances they needed to build another lighthouse here. The keeper cottages may date to 1943 but the original lighthouse was replaced to project a more powerful light and the current one dates from 1973. Since it is recent, instead of huge prisms we see an array of parabolic reflectors to project the light. Here we are looking north west towards the mainland. When I took this picture the lighthouse was merely 14 years old yet there are already several noticeable cracks in the concrete. It may be that construction standards of lighthouses have declined since the nineteenth century. 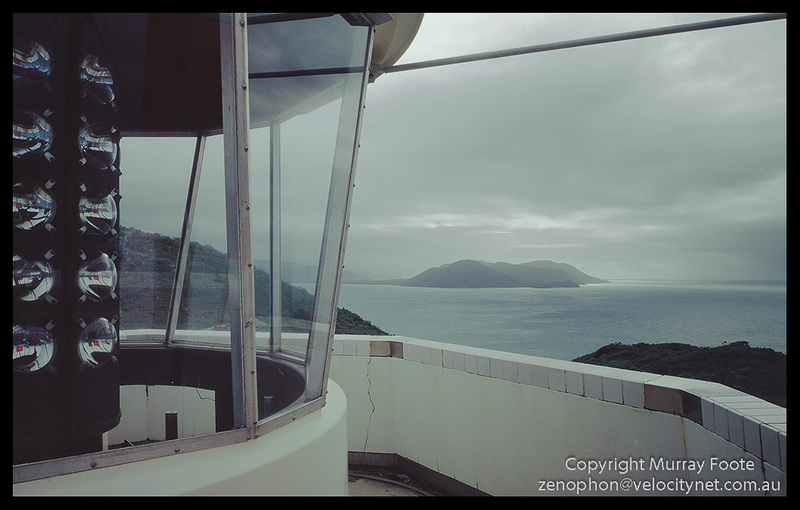 This entry was posted in Australia, From Dusk Till Dawn and tagged Architecture, Australia, Fitzroy Island, Landscape, Lighthouses, Photography, Queensland, seascape, Travel.